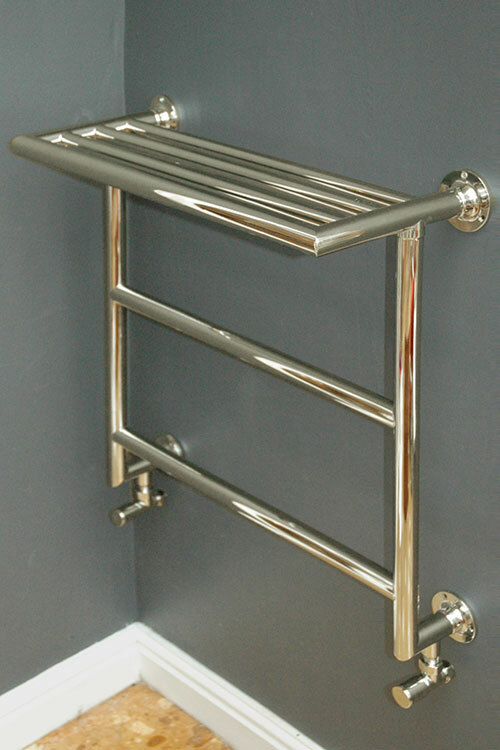 British made nickel towel rail with a towel warmer top rack is handy towel storage within a bathroom. 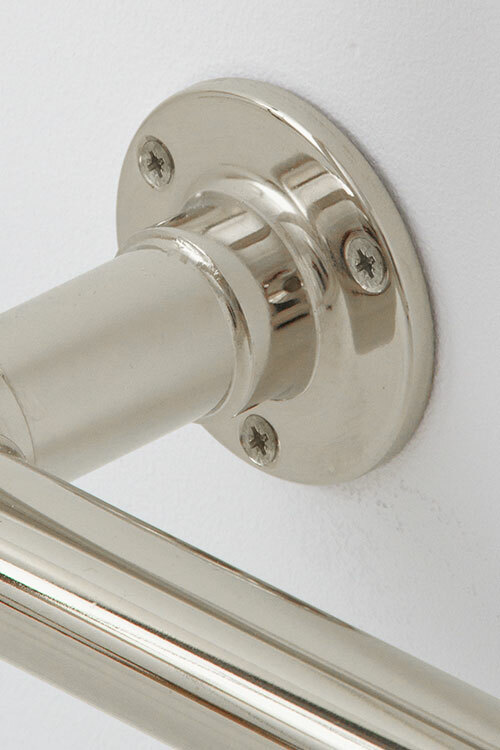 Manufactured in solid brass for long life and finished in a thick nickel plating, this wall mounted heated towel rail has well spaced hanging bars allowing for easy drying and towel hanging. Each towel radiator can be supplied for central heating, dual fuel or electric only systems. Nickel finish to special order. 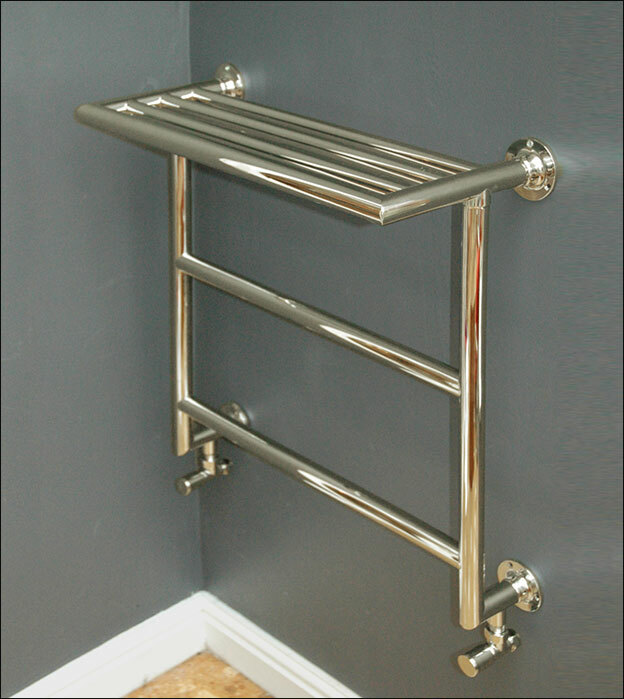 Alternative towel rail finishes are available in brushed brass, gold, chrome and copper. 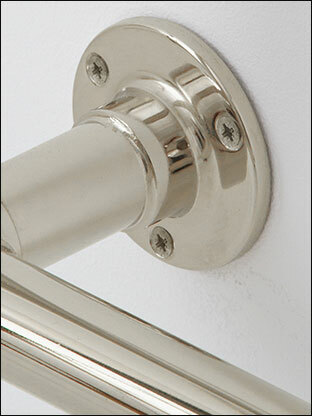 • Manufactured in the U.K.
• Nickel finish to special order. 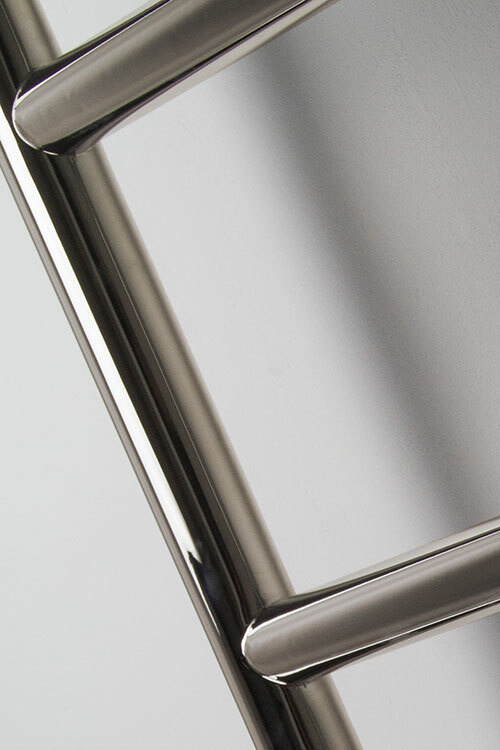 • Chrome, gold, copper and brushed brass finishes available. 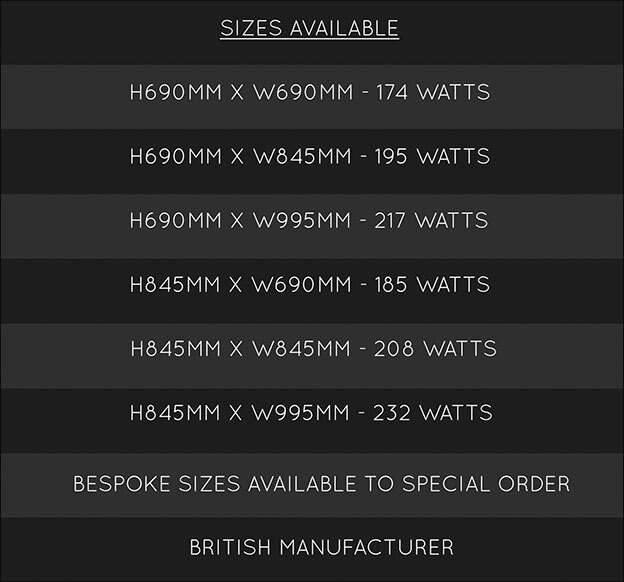 • Central heating, dual fuel and electric only heating formats. 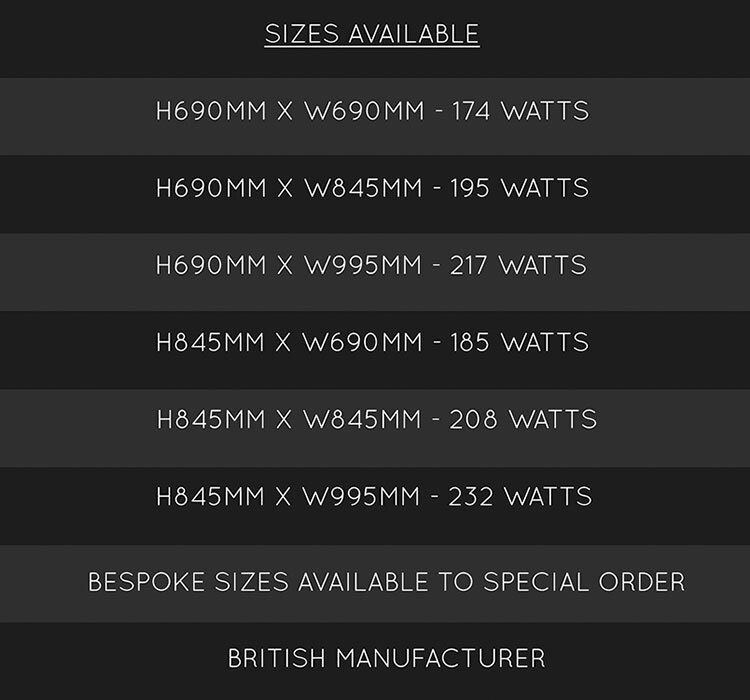 • Allow 4 weeks for manufacture. 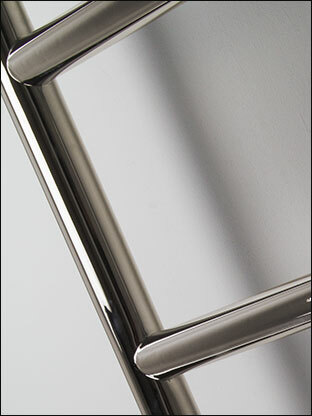 • Brushed nickel available on request.